Rapid response to customers is more important than ever. At Pretzels, Inc., we continually advance our manufacturing technology to quickly respond to your needs. Our extruded corn product and pretzel lines are efficient and versatile. We combine a wide range of packaging choices with product flexibility to expedite unique requests. Our prompt attention to individual demands has made us one of the top private label suppliers of pretzel and corn-extruded products in the United States. Quality remains paramount in our bakery. Our constant advances in technology ensure the highest consistency in taste and texture. At Pretzels, Inc. our snacks are always fresh, flavorful, and on time. Private label is on the upswing. Make sure you maximize the opportunity. Studies show that 4 out of 5 consumers are actively seeking value to address the economic squeeze they experience in today's economy. Half are increasing their store brand purchases, buying what's on sale rather than their former favorite brand. As a result, house brands are gaining in volume and dollars. 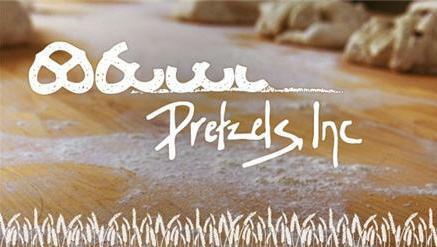 At Pretzels, Inc., you get the same quality in our private label products as you get with every Pretzels, Inc. product. Order size flexibility: We manufacture both large and small private label orders.